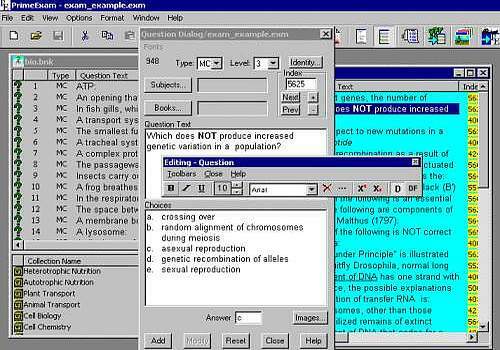 PrimeExam enables you to easily create mixed type exams from reusable question banks (multi-choice, True-False, essay, short answer, fill-in), print keys, and embed images. A user-friendly interface will help you to quickly convert existing text-based exams into question banks, create random exams based on detailed criteria as well as create exam forms to discourage cheating. Export your exams to Word, WordPerfect or HTML format. A feature-rich and easy-to-use software to quickly create quizzes and publish them in minutes! Reports can be sent to your email address.